Loneliness has been identified as a significant challenge for people with psychosis. Interventions targeting loneliness are lacking but adopting a positive psychology approach may reduce loneliness, promote well-being, and support meaningful social interactions. Together with youth mental health consumers, we developed a digital smartphone application (app) called +Connect, which delivers positive psychology content daily for 6 weeks. Twelve participants diagnosed with a psychotic disorder were recruited from early psychosis services. Loneliness was assessed pre-intervention, post-intervention, and 3-month post-intervention. Acceptability, feasibility, and usability were measured post-intervention, including a semi-structured interview on the user’s experience of +Connect. We found evidence for the feasibility of +Connect. All but two participants completed the +Connect program, completing 95% (40.10 out of 42 days) of the program. Furthermore, 66.67% (8 out of the 12 participants) remained engaged with the program 3-months post-intervention. 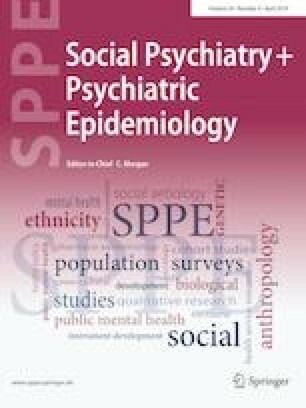 Our data indicates preliminary evidence that +Connect may reduce loneliness, with scores from pre-intervention (M = 50.00, SD = 8.47) to post-intervention (M = 48.10, SD = 10.38) and 3-months post-intervention (M = 42.89, SD = 7.04). We found that positive reinforcement of in-game rewards and evidence of positive mood changes added to the feasibility of the app. Regarding acceptability, while 10% (1/10 participants) reported not finding +Connect useful or enjoyable, 90% of participants agreed that +Connect helped them to increase their social confidence, enjoy life, look forward to being with other people, and feel more connected with others. Participant interviews supported these results, with participants highlighting the app’s strengths in providing useful information, stimulating self-reflection, fostering positive affect, and encouraging transfer of skills into their social interactions. While preliminary findings indicated that +Connect yielded high levels of acceptability and feasibility, it is important to consider that we recruited a small and selected sample of lonely young people. Further iterations of this proof of concept app, which can incorporate participant feedback such preferences for increased personalisation, in-app feedback, and gamification, may allow an opportunity to test an improved version in the future. This article is part of the focused issue ‘Loneliness: contemporary insights on causes, correlates, and consequences’. Jo-Anne M. Abbott was at the National eTherapy Centre, Swinburne University of Technology, Melbourne, Australia at the time of this research. The online version of this article ( https://doi.org/10.1007/s00127-019-01681-2) contains supplementary material, which is available to authorized users. Acknowledgements to Claire Peck, Julia Cheah, Carla McEnery for assistance throughout the development phase, to Amplified Software for digital development, and Ryan O’Hehir for video development. Acknowledgements to staff and consumers of Eastern Health Child and Adolescent Services, Headspace Alfred. Barbara Dicker Brain Sciences Foundation Grant funding awarded to Lim, Thomas, and Abbott. Funding awarded to Lim, M.H. Higher Education Participation and Partnerships Program for development.